You may not have heard, but Microsoft will be releasing a follow-up version to Windows 8, dubbed Windows 8.1. A mere eight months after the release of the much-talked-about Windows 8, why the new version? It’s actually pretty simple- you. Consumers were extremely unhappy when Windows 8 was released. Not only was it very different than the operating system they were used to, but it demanded that the basic consumer have a familiarity with a number of new technologies that were still up-and-coming, like touch screens. 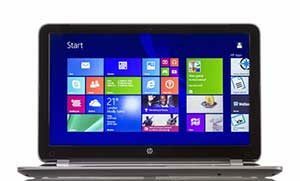 The basic premise behind the design of Windows 8 was that the digital world is moving in the direction where touch screens and laptops are going to combine. And Microsoft wanted to do it first. Not a bad idea at all, and one that made sense from a forward-moving, business goal standpoint. The design of Windows 8 was not a bad design. In fact, once you spent some time working with it and figuring out all the new little features (such as how to get to the list of installed programs, etc.) it was a pretty simple interface to work with. The problem was though, Microsoft did too much too fast. They had this idea of where things were going to go (and for the record, I agree with them, we are moving towards everything combining into one device, including laptops and tablets) and they wanted to be the first to bring it about. So they skipped right to the end- and freaked everyone out. They didn’t provide any transitional help, or try to wean people off of the old design slowly. When I heard that Microsoft was releasing Windows 8.1, I immediately went to search for some descriptions, and when I found some- they made me laugh. Basically, Microsoft is taking a step back from the intense changes they introduced in Windows 8, and bringing back more of the familiar aspects of their operating system design. Working in marketing, I’ve seen this before. A company makes a bold step forward, their customers revolt, and they take a step back. One great example of this is Coca-Cola, when they tried to release “New Coke” to combat the popularity Pepsi was gaining. However, there are also examples of companies that refuse to budge from their changes, even if they receive a lot of push-back, like when Facebook first released the News Feed. (The funny thing about that change was that despite how much everyone griped about it, now people can’t seem to live without it). However, I do want to point out that even though Facebook kept News Feed despite protests, they have made many changes to it over the years, some of which came from the suggestions and demands of their users. Here’s the interesting part- these days, more power is in the hands of consumers than ever before. The internet- blogging, forums, message boards, social media- all provide platforms where the individual customer holds the keys. They not only have the freedom to express their opinions, but they know that they will be heard by all businesses, whether it is a small local business or an international corporation (why? because any smart marketing team wants to know what their customers are thinking, so they will be looking for them). 1. Change is hard. Nobody likes change. This is really a universal truth. Whenever your company makes a change, you are going to encounter resistance. The trick is to prepare yourself for it. Have customer service reps ready to handle phone calls. Pay attention to message boards and social media so that you can engage with your clients and help them through the transition. If you demonstrate caring and empathy, your customers will see that they matter to you and will be much more open to the change. 2. Move slowly. If you are going to be overhauling your business, it might be a good idea to try and space out the changes. Give people some time to get used to one new aspect a time instead of throwing twenty different changes at them. It might take more time than you originally planned for, but chances are you will encounter much less resistance. 3. Listen. Make sure you really listen to the feedback your clients are giving you. Sift through all the push-back and negativity and find those nuggets of what is really bothering the clients- and then really sit down and try to figure out a way to help. If it means providing one-on-one training to help them get used to a new interface, do that. Or, if it means bringing back a feature you didn’t think was important but your clients don’t want to live without, do that. 4. Research. This needs to happen all the time, so that you can determine if a change is needed. Keep in constant communication with your clients. What do they like? What are they unhappy with? What would make their lives easier? Keeping in touch will also make your customers feel comfortable enough when they have feedback to present it to you. And on the plus side- you’ll probably get some great testimonials out of it too. The bottom line is, being able to run a successful business these days is about communicating with your clients- and that requires both being able to speak to them well, and being able to listen well. If you can work with your clients to develop open communication, you are going to build up a level of trust with them, so that when the faster, cheaper guy comes up and knocks on their door, they won’t have any desire to answer. What did you take away from Microsoft’s announcement of Windows 8.1? Do you agree with these strategies when it comes to dealing with changes for a business?